I have been invited to these events this summer and I'm "Thankful" for the opportunities these individuals have given me. I thought I'd share some of the sights and sounds from my experience. I was able to see Janelle Monae, Norah Jones and Naughty By Nature. These are 3 different artist who show so much passion in their artistry. Please ignore my voice sounds in the video. I was obviously enjoying too much. Janelle Monae at the Toronto Jazz Festival. She reminded me of a Jazzy Janet Jackson. This was a great private wedding with Naughty By Nature in performance. On Day 3 of our conference with Ford. We had the opportunity to test out the Ford line of vehicles for the day. I got to go behind the wheels and try out the vehicles. My favourite was the GT mustangs. The day started off with a welcome breakfast. The highlight of my trip was riding with a professional driver on the track circuit. This was more exciting than any roller coaster ride i've been on. I tried to record the whole experience on camera but the ride was too wild. Here's a shortage video on my experience. Can you believe that the driver was able to talk in a calm voice throughout the ride experience. Wow! I was able to ride in the Police Interceptor vehicle by Ford. We had a great opportunity by Ford to ride and experience the track at crazy speeds. Fun times! My next post will be on the Social fun of the Ford events. Be honest! How many of you have old electronics collecting dust at home? Do you still have that old flip phone or that old video game system that's never been used? Do you properly dispose of your electronics? Most people do not know how to do this or lack motivation. Take the Pledge to RECYCLE! This post and link provided above can help shed some light on "Recycling" electronics. I know we are are living in a fast pace world with the evolving technology today. All this change means more accumulation of electronic devices so it's important to understand where we are heading with our environment. Why should our generation be motivated to recycle our electronics? As technology advances, we see our generation constantly upgrading their electronic devices with newer gadgets. While it’s exciting to get our hands on the latest innovations, it’s really important to think about what happens to the electronics we’re replacing. We should be motivated to recycle because it helps divert waste from ending up in landfill. Most of the component parts of e-waste – like copper, plastics and precious metals – can actually be recovered and made into new products. What’s more, responsible disposal of electronics is good for us and the environment because it keeps nasty substances – like lead and mercury – out of our water ways and ecosystems. Ontario has recently diverted more than 100,000 tonnes of out-of-use electronics from landfill. That’s a big deal and something we’re building upon as we work towards the next 100,000 tonnes milestone. Why do you think it's important to recycle our electronics? Research suggests nine in ten Ontarians have at least one out-of-use electronic item and almost half have six or more. That’s a lot of devices when you consider more than 13 million people call Ontario home! Ontarians need to think about our out-of-use electronics in the same way they think about paper, plastic and glass –material that shouldn’t go to landfill, but that should be reused, recycled, or reclaimed. These items are not garbage. You can sell, gift, donate or recycle your unwanted items. Imagine if all of those gadgets ended up in landfill… it wouldn’t be a pretty picture! Where do I go to deposit my electronics? What's the difference if I leave it curbside? Recycleyourelectronics.ca is a great resource for everything you need to know about the safe and responsible reuse and recycling of electronics in Ontario. You’ll find a list of 44 items that can be reused or recycled and locate a drop-off centre that is approved by Ontario Electronic Stewardship by entering your postal code. It’s a simple, convenient and free service. Leaving items curbside brings consequences that people may not be aware of. For example, if not properly disposed of, e-waste may end up in landfill where substances of concern – including lead, cadmium and mercury – leach into our soil and water systems, causing harm to the environment. Identity theft is another risk. Personal data remains on most devices and if not properly handled or disposed of, you can potentially provide a stranger with sensitive information. There are exceptions. Certain municipalities offer a curbside pick-up for electronic waste. Ontarians should inquire locally to determine if such a service is available in their community. Have you ever watched a rugby game before? I'm giving you the opportunity to watch for FREE. In conjunction with the ScotiaBank Caribbean Carnival in Toronto I have tickets for you. 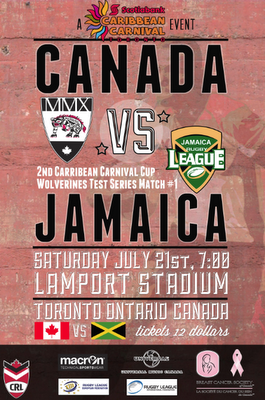 Watch Team Canada Wolverines VS. Jamaica play in a rugby league game. 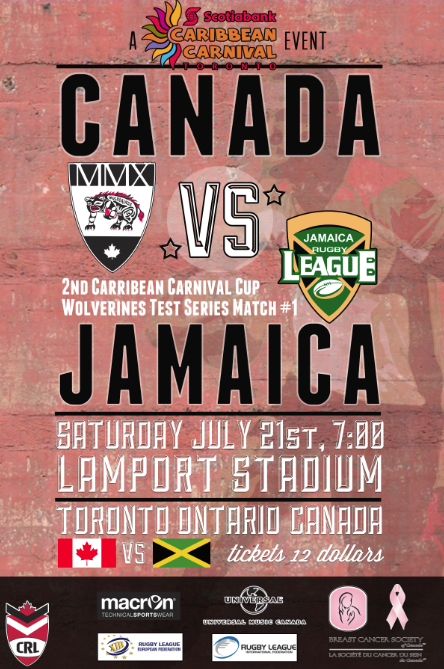 The event is on Saturday July 21st, 7pm at Lamport Stadium located at 1151 King St. W.
For more information on the league visit here: www.canadarugbyleague.com or Follow them on Twitter at @CanadaRL Add the hashtag #TOcarnivalRugby‬ and tweet me at @clickflickca if you want the tickets. Tickets are limited. First come first serve. What are your "Social Media" Pet Peeves? It's a simple question with numerous remarks. I recently asked this question on Twitter to find the overall un-scientific sentiment of the user(s) I follow. I want to learn to use Twitter in a proper etiquette because it's always changing as more people utilize these tools. I for one make mistakes frequently on "Social Media" so learning to improve is always a good thing. Twitter can be used anyway you want. If you want to tweet about your cat all day, that is fine. If you want to engage in dialogue about being a social media guru that's fine too. The jest of this post is that everyone uses "social media" differently. Some use it for expression, some use it for attention or even business purposes. We are all different. Social Media is new to most people and continues to evolve so have restraint and understanding when using these tools. Enjoy the Social tools and find a balance that fits you. Customize and mold the use of your social channels to fit you and your life. It's also important to listen to the conversations to better understand what makes people act the way they do. You start to create a mental profile of a person you follow and this is why listening is important. Taking that online persona and social cues and extending a meeting in real life completes the cycle of being social which is probably the most important value to "Social Media" for me. On that note, here is a compilation of "Social Media" Pet Peeves from my Twitter Stream that I thought you might like or help you understand the nuances of "Social Media". These tweets are a mix of funny and serious observations. Enjoy and continue to add value to your Twitter streams. 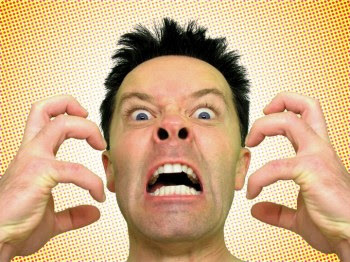 To find more Pet Peeves just follow #Petpeeves hashtag. @The_Jmoney by far the biggest #PetPeeve is disregarding RSVPs to FB Events. It takes 2 seconds to click maybe at worst. @stilez honestly? Ppl who 'pitch' or 'network' rather than "connect". Sick of the same SM tips RT'd 1000x & no valuable dialogue. In the late summer/early fall Upper Canada Mall will be opening Browns Shoes and Michael Kors. UCM also has a soft foam play park that is perfect for smaller children to play in while mom shops and dad watches the kids or if mom and dad want to take a break from shopping and let the kids have some playing time. If you haven't downloaded it yet, check out the Upper Canada Mall App on your smartphone. It gives you all the Sales and Events at the mall. It also has a neat feature of showing you employment opportunities and Guest Services at the mall. It's basically like having a concierge in your hand.
" 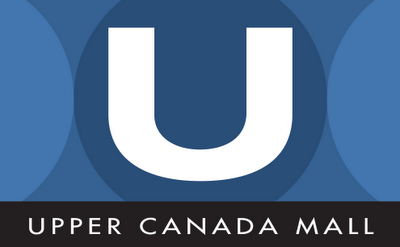 @clickflickca @UpperCanadaMall I want a $100 gift card to shop at Upper Canada Mall. #UpperCanadaMall" into the contest below. Welcome to Day 2 of the Go Further with Ford Conference review. On the 2nd day it was a full day of informative sessions on technology and trends. The information was very interesting because it showcased how much work and research is involved in creating an innovative product. A Ford engineer showcases a demo of translating Spanish language to English through a Ford Sync cloud translator. Cloud computing seem to be a key component to this session. The StyleCaster Panel was my favourite session because it talked about future trends from different aspects such as fashion, industrial and furniture design. The esteemed panelists gave the audience insight into future trends they predict in technology and their respective industries. Christina Siriano is an American fashion designer who gained lots of attention after winning a reality show called "Project Runway". He talked about how Social Media accelerated his fashion brand. He also talked about Italian Mills fabricating material through organic process and that environmental processes will be a trend to acknowledge. Other future trends include the terms of "Cross Pollination" and "Democratization". One thing that stuck to mind is having the "Global is Local" approach and streamlining with noise abatement. The other trends talked about streamlining technology and having info at the your finger tips. One of the more popular session involved Adrian Grenier of "Entourage" fame. He is a partner with Shft.com that is a site primary focused on living an environmental lifestyle. He talked about his partnership with Ford to promote better well-being and lifestyle choices through a focus on environment ways. A Ford Engineer demonstrates how much Research and Development is involved in creating fuel efficiency through a wind tunnel showcasing the turbulence and windflow on a Ford vehicle. Here is a nice storyboard and collection of ideas from the Environmental session held with Adrian Grenier. One of the most fun parts of the sessions was being able to attend a place called Tech Shop. This is a unique workshop on innovation. You can basically create whatever your mind thinks of at this location to some degree. A dinner/concert reception was being held here. I thought I'd give you a little of the sights and sounds upon arrival. Here is a small sampling of the cool stuff they create and do at the Tech Shop. Tech Shop and Ford have partnered together to keep innovation and technologies at the forefront. Here is a group that was enjoying the festivities of the day. Fun times with Ford. Well the summer is here in Toronto so you know what that means right? It's time for another year of the Toronto Beer Festival. If you've been living under a rock it's the summer party of the year. This year the Toronto Beer Festival will be held again at the BandShell Park at Exhibition Place in Toronto. There will be over 60 breweries featuring over 200 brands of beer at this event. NEW this year is a Food Truck component to the event with over 10 different food vendors. Music from various bands including Salt-N-Peppa. So if you been to the BeerFest before you know it's fun and it always sells out. There is a NEW World of Beer Pavillion focusing on Quebec which will focus on the regions food and drinks. Here is your opportunity for $5 off the admission. Just use CODE "click" to redeem a discount on your ticket purchase. Purchase tickets: BEERFEST TICKETS The ticket will include 5 tokens, festival sampling cup and a pocket guide. So come out and have some fun. Sunday July 29th from 1pm-8pm Rain or Shine!